Zachary Howard joined Avid Labs, a sister company to Apollo Design, as a mechanical engineer; and Chuck Parent, electrical engineering technician. Josie Marchetti joined Apollo as a laser operator; and Ryan Wolfe, assembly technician. Renee Cox with Acorn Real Estate Professionals was named the 2018 Realtor of the Year by the Upstate Alliance of Realtors; Linda Duesler, Duesler Realty House, received the Hall of Fame Award; Chris Buchs, Salin Bank & Trust, Affiliate of the Year; Michael Litchin, Real Living Resource Real Estate, Outstanding Service Award; and Kim Ward, North Eastern Group Realty, President's Award. Gary Voirol is the new president for MSKTD & Associates. Brandon Lozano and Andrea Perkowski joined SummitMortgage, a subsidiary of MutualBank, as a loan originators. Dave Stemen and Carolyn Spake-Leeper with BND Commercial were elected to the board of directors of the Indiana Commercial Board of Realtors. Brandon Haun joined BKD as an audit associate; Katelyn Mantey, tax associate; and Amee Phaengyavong, Lauren Erickson, Joy Snyder, Crystal Reinhard and Erin Dobbs, interns. 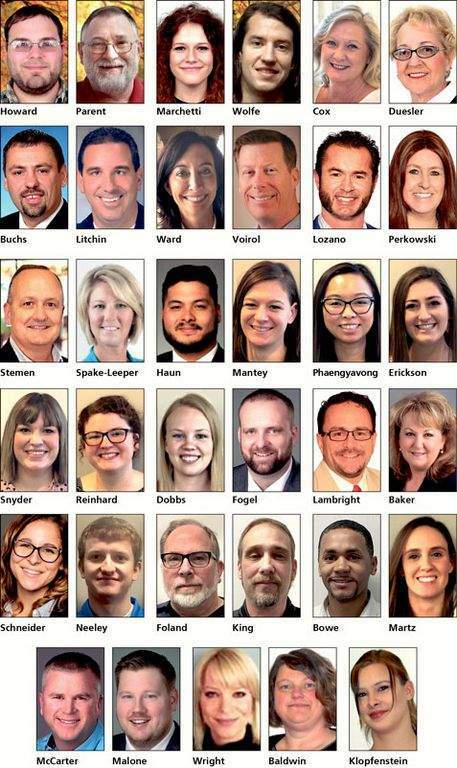 Chris Fogel joined Re/Max Results at its north office and Daryle Lambright at its Goshen office as real estate professionals. New members elected to the Noble County Economic Development Corp.'s board of directors are Jim Walmsley, Impact Institute; Holly Pfeiffer, Dexter Axle; and Gary Gatman, Room-2-Room. Officers elected to serve for 2019 are Bob Marshall, president; Suzanne Handshoe, vice-president; Stefen Wynn, treasurer; and Susan Lawrence, secretary. Nina Baker with ProFed FCU was elected as a board member of the Indiana Credit Union Foundation. Emily Schneider joined the Noble County Convention and Visitors Bureau as a marketing coordinator. Tanner Neeley joined Shambaugh & Son as a controls engineer; Timothy Foland and Tracey King, controls specialists; Maurice Bowe, design engineer; and Jessica Martz, purchasing clerk. Matthew McCarter and Jeremy Malone joined Coldwell Banker The Real Estate Group as brokers. Brian Heiman with Kosciusko REMC graduated from Indiana Electric Cooperatives' rural electric apprentice program. Dayna Wright joined The Money Store as a mortgage loan officer. Paula Baldwin with Fort Wayne Newspapers was named Outstanding Performance: Shining Star; and Amber Klopfenstein, Outstanding Performance: Over the Moon; for its fourth-quarter Above & Beyond recognition program. Cpl. 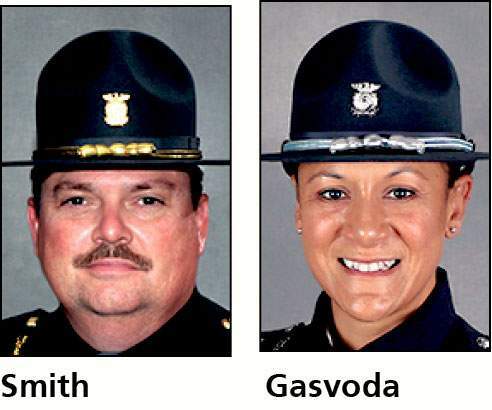 L. Andrew Smith and Trooper Cicely T. Gasvoda with the Indiana State Police were promoted to sergeant.